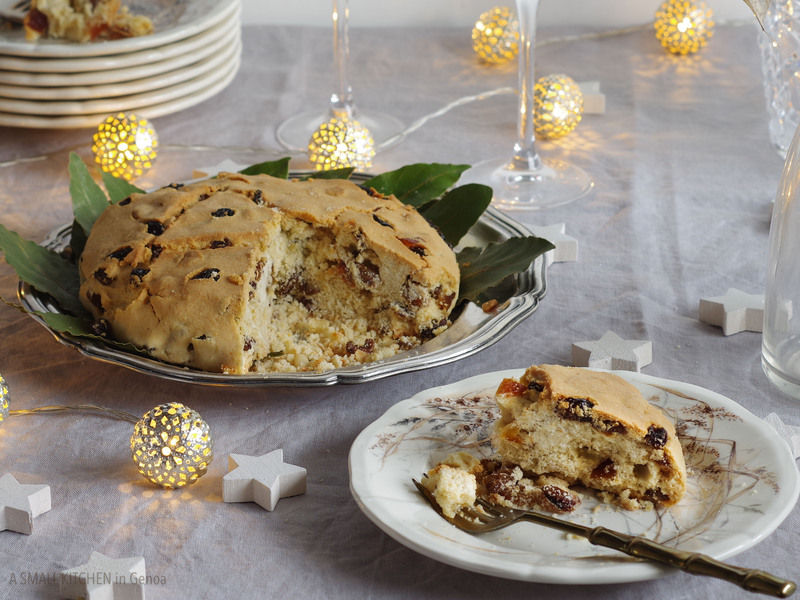 Like every dessert that represents Christmas for a city, Pandolce (u pandùce, in Genoese dialect) better known in the UK as Genoa cake, has its own story, or better its stories, to tell. 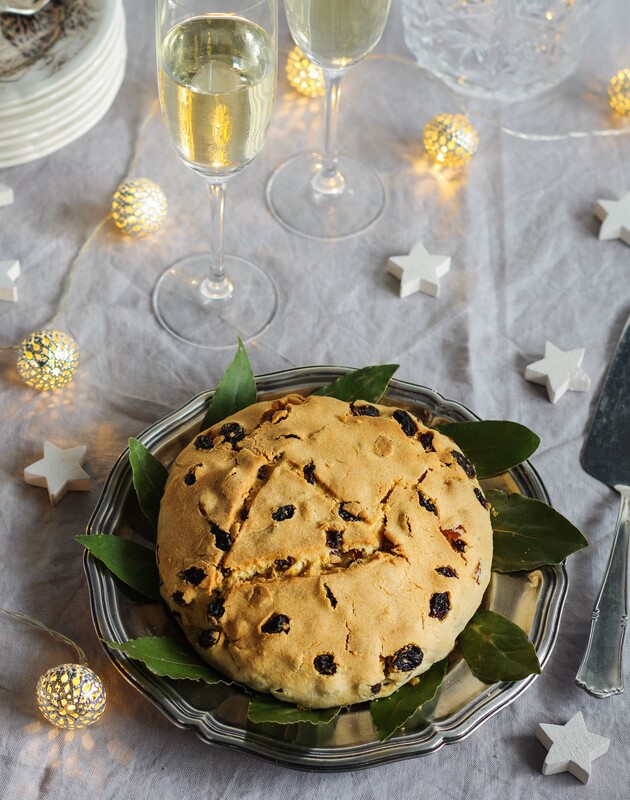 According to someone, the oldest origins of this cake dates back to Persia, where the first day of the year it was tradition to give the king a sweet bread enriched with honey and dried fruit, which was brought to him by a child. 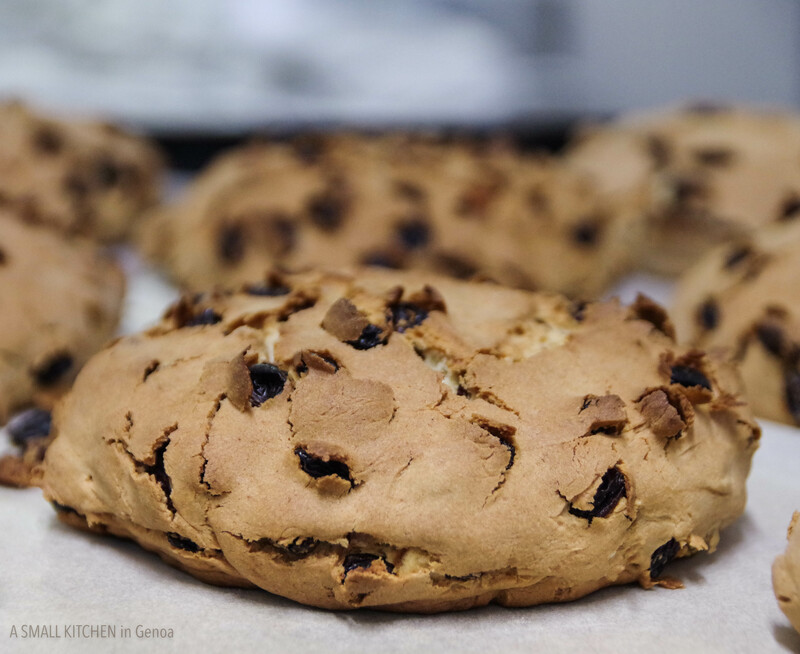 According to others, however, the birth of this dessert is due to a competition for pastry chefs held in 1500 by the Genoese doge (the highest authority in the city) Andrea Doria. The challenge was to create a dessert that represented the richness and magnificence of Genoa and that at the same time had conservation a long enough to face long sea voyages. 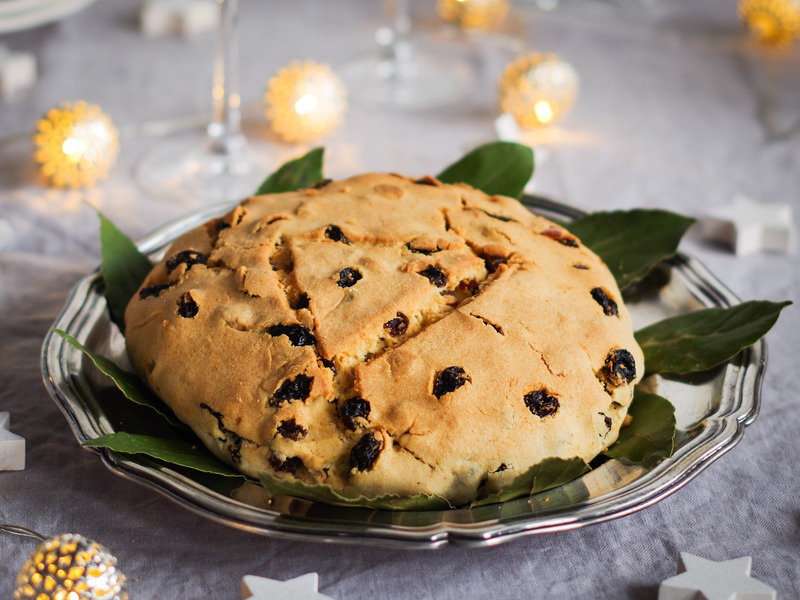 Anyway, it is a fact that for centuries our Pandolce, the Genoa cake, makes its theatrical appearance on the tables of the Genoese families every Christmas. Tradition rules that the cake is brought to the table by the youngest of the family who puts a sprig of laurel in the center, a symbol of well-being and fortune. The head of the family, the oldest, has to receive, cut it and recite the traditional greetings. 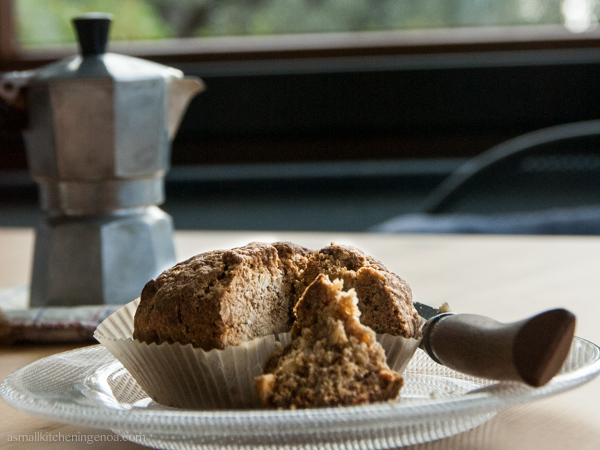 Pandolce, in fact, until the early 20th century was a homemade cake. Every woman had her tricks and her secret recipe. While very few bakeries and pastry shop sold it and in those rare cases it was destined mostly for foreigners passing through. There are two version of Pandolce in Genoa. 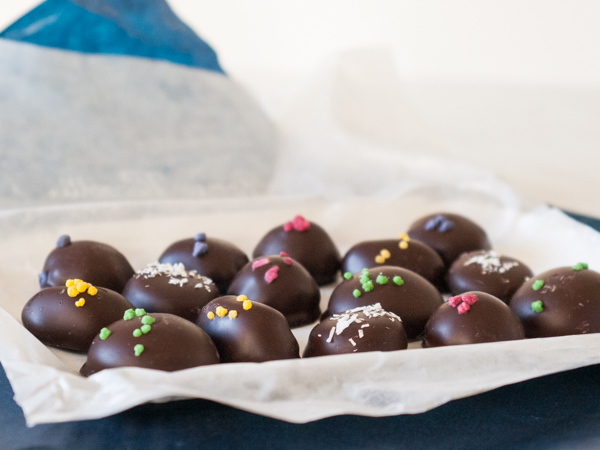 There are the “tall” ones, almost perfect semi-spheres, perfectly smooth which have leavened for a long time at warm temperature to swell like balloons. They are the original ones and it is said that women centuries ago used to take them to bed, putting them at the bottom of the covers next to the warmer to obtain a perfect leavening. And then there are the “flat”ones, which are unleaveded. They are indeed flat, with raisins proudly sticking out of the surface and when they are cut they crumble like biscuits while the dried fruit they hide rolls cheerfully in the plate. This version of the Genoa cake is more recent, born at the end of the nineteenth century with the advent of powdered yeast and rapidly became popular for its ease of preparation. Last week, I was lucky enough to attend the preparation of the these latter pandolce, the “flat” one, in the laboratories of Villa Profumo. This is one of the most ancient patisserie of the city, located since almost 2 centuries in the most important and noble street of the city, Via Garibaldi, and indeed famous in town for their Genoa cakes (both tall and flat), which they produce all the year long. 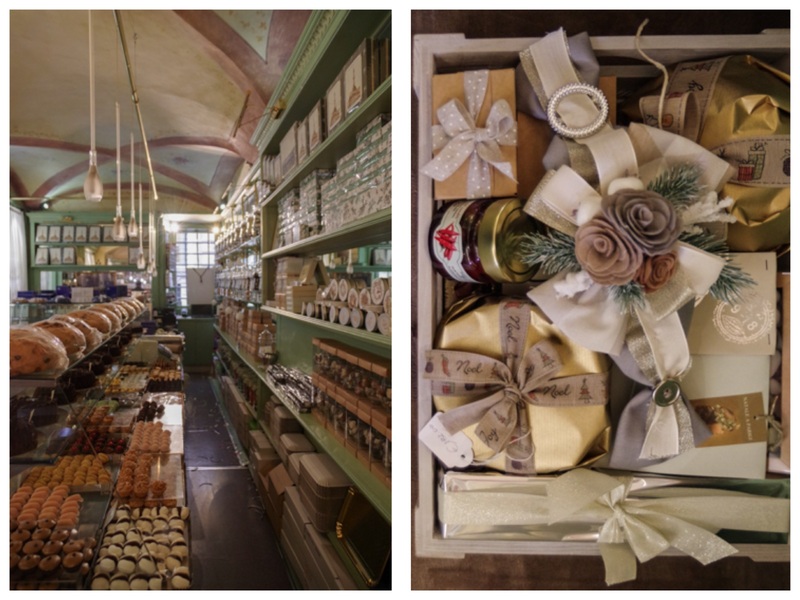 If you are planning to visit Genoa, this is a must-have destination for any foodie. 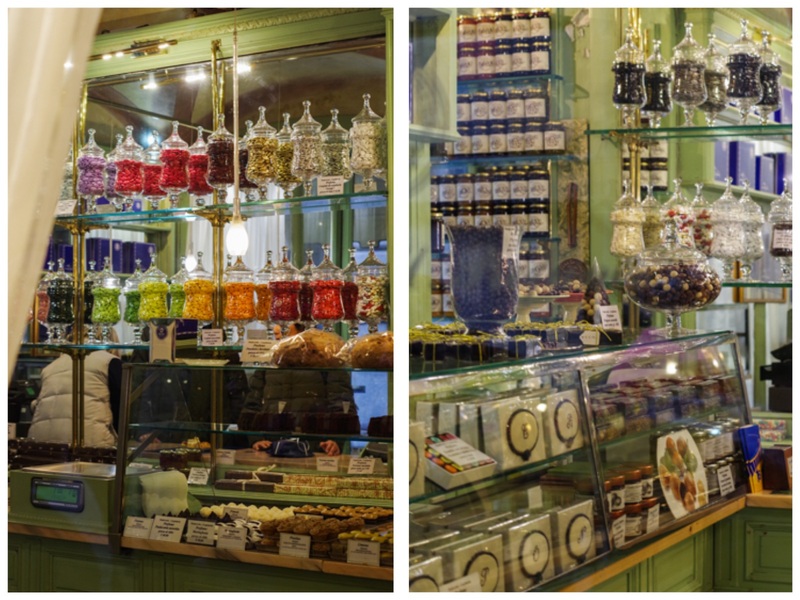 The shop is wonderfully preserved as it was two centuries ago with inlaid wood counters and frescoes on the ceiling whilst the pastries and chocolates they produce are unique and still made according to the ancient original recipes. Off course, to discover all the foodies gems hidden in this ancient city you can also book a Genoa food tour with me :). 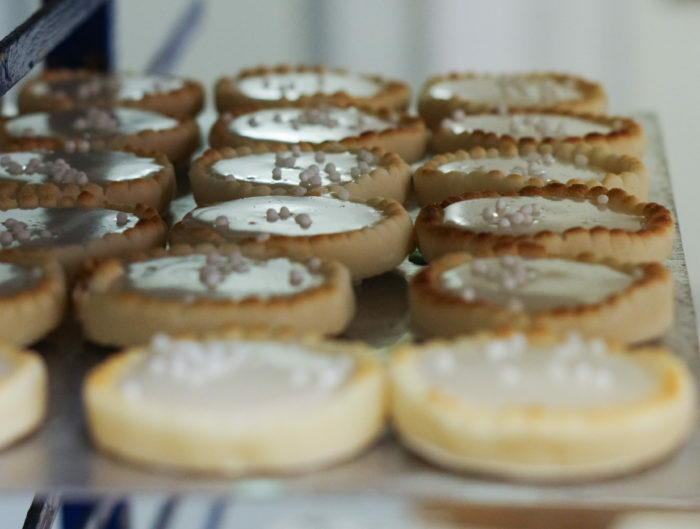 Here below you will find a small video of my experience in the backstage of this magic old shop and then the original recipe of the “flat” Genoa cake (also called in Genoa “pandolce basso”) of the family Profumo, owners of the shop since three generations. If you, like me, want to celebrate Christmas by cultivating traditions, which are an inestimable treasure for every people, try to make the flat Genoa cake at home. It’s simple and with the right recipe – and this is the best one for me – the success is guaranteed! Work the butter at room temperature with sugar and vanilla in the kneading machine or in the blender until it becomes a soft and smooth cream. Add the eggs and knead, increasing the speed, so that the eggs are incorporated perfectly and the dough is slightly whipped. In a saucepan heat the milk with orange flower water. It must reach lukewarm temperature (ideally 40 ° C). If it is too hot, the dough will remain too soft, if it is too cold the dough will remain too hard therefore difficult to put into shape. Add the milk to the mixture and immediately after add flour, baking powder, coriander and fennel seeds. 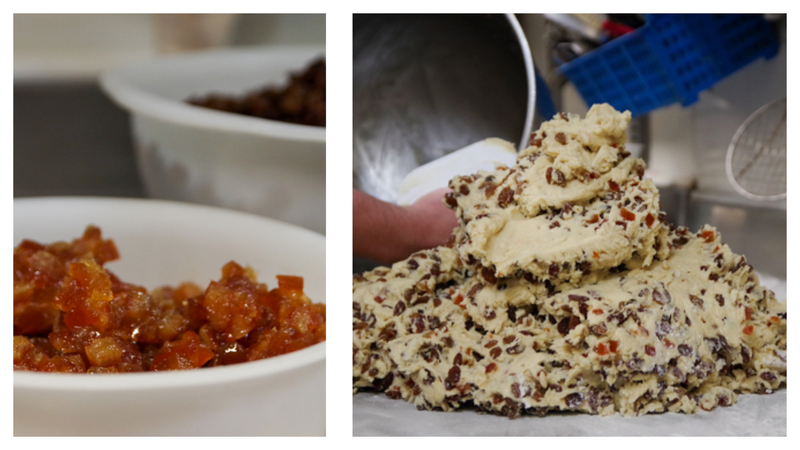 Knead for 2/3 minutes and then add pine nuts, candied orange and sultanas. Knead again at low speed for 2 minutes. Reverse the dough over a well-floured work surface. Form a large sausage with the dough and divide it into 6 equal parts. 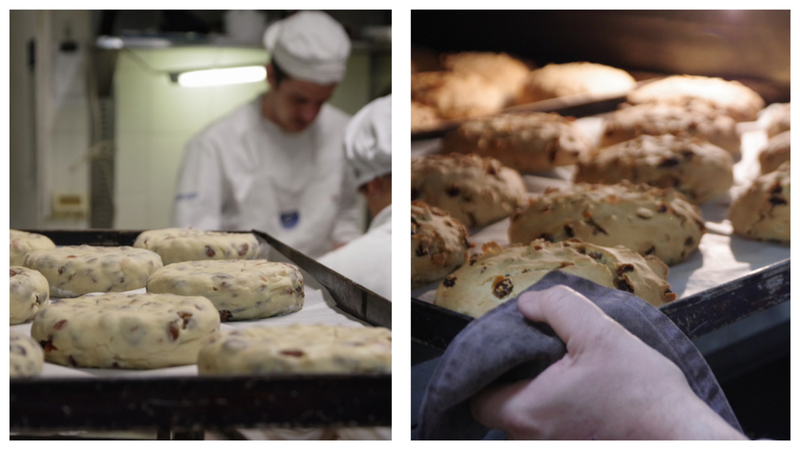 Take each loaf and roll it with your hands on the floured work-surface to form smooth beautiful balls. Be careful not to allow the fruit to come out of the surface, as it may burn or come off during cooking. Put the small cakes on baking sheets covered with parchment paper, leaving a space of ab. 6 cm in between each of them (you will need 2 baking sheets of 30 x 40 cm). Slightly flatten the dough with your hands and engrave the characteristic triangle on the surface. Cook at 210 ° C for 40 minutes or until a toothpick inserted inside will not come out perfectly dry. Let it cool completely before serving. 3-4 days after is even better.